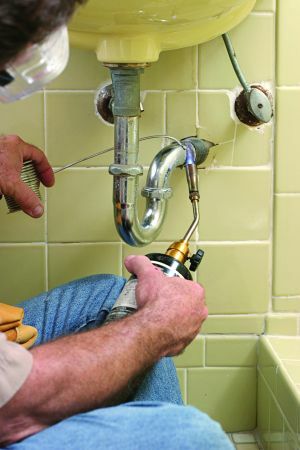 Residential Plumbing - $59 Rooter & Plumbing Service in Phoenix, AZ provides residential plumbing and repair services. Welcome to $59 Rooter & Plumbing Service RESIDENTIAL PLUMBING REPAIR PAGE. Plumbing repair in the home is a specialized service that requires lots of experience and dedication to understanding current and evolving residential plumbing needs. As a specialist in sewer and drain cleaning we want to focus on doing what we do best, so we don’t offer services such as remodeling or re-piping the home. We are not a large full service company that is looking to do every single plumbing job out there in the residential community and we don’t have expertise in those types of renovations so we just don’t do them. Because our specialty is sewer and drain cleaning we understand that the most important aspect of keeping the house in good repair is having the waste drainage systems working properly. We specialize in drain cleaning and repairs on all residential drainage systems. We provide same day or next day service on most sewer and drain cleaning calls. So when the time comes to have a plumber out to the house, be sure and find an honest plumbing professional who has experience and many good reviews on the internet who will give you an honest evaluation and a fair price on drain cleansing jobs.